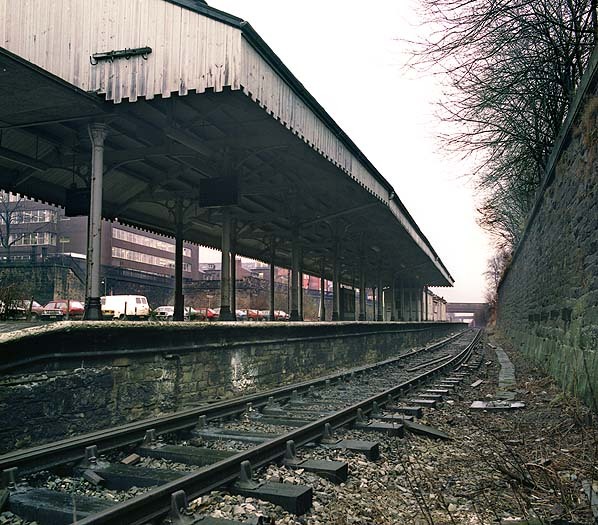 Looking south at Bury Bolton Street station's platform 4 in February 1983. The station had been closed for three years but it was remarkably intact. The only obvious evidence of it being closed was the lack of signs. Also by this, date British Rail had removed the electric conductor rails from all of the lines at the station.